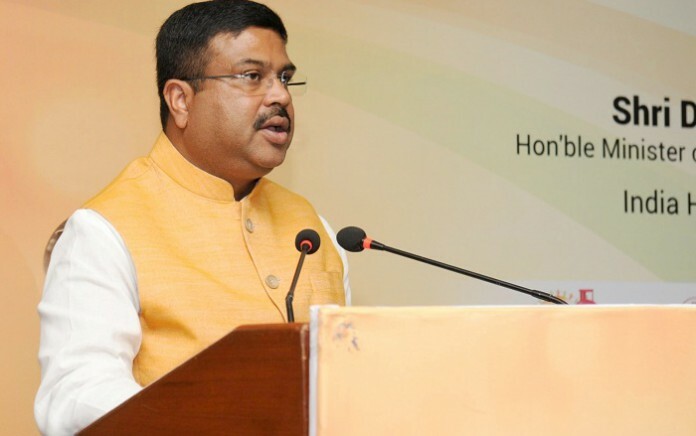 The Union government is in favour of merging Chennai Petroleum Corporation Ltd (CPCL) with its parent, Indian Oil Corporation Ltd (IOCL) to bring the standalone refinery under one umbrella, said Petroleum and Natural Gas Minister Dharmendra Pradhan. The Union government is in favour of merging Chennai Petroleum Corporation Ltd (CPCL) with its parent, Indian Oil Corporation Ltd (IOCL) to bring the standalone refinery under one umbrella, said Petroleum and Natural Gas Minister Dharmendra Pradhan on Saturday. He said by merging CPCIL with IOCL, there can be a petrochemical hub to meet the growing petroleum products needs of South India. Pradhan was here to participate in the golden jubilee celebrations of Chennai Petroleum Corporation of India Ltd (CPCL) and inaugurate the moulded bullet facility to store liquefied petroleum gas (LPG). In his address on the occasion, he said the next expansion of CPCL should happen under the umbrella of IOCL. But for the merger to happen, technicalities like shareholding of the National Iranian Oil Company in CPCIL have to addressed, he added. He said post lifting of sanctions against Iran, the scenario has changed and the issue was also discussed with Iranian authorities during his visit to Iran and the US. According to Pradhan, the expansion of refinery will happen looking at the future needs of the market. He also said Tamil Nadu will be a major beneficiary of the Make in India initiative, as he sought the support of the state government for the natural gas pipeline project of GAIL and the coal bed methane project.